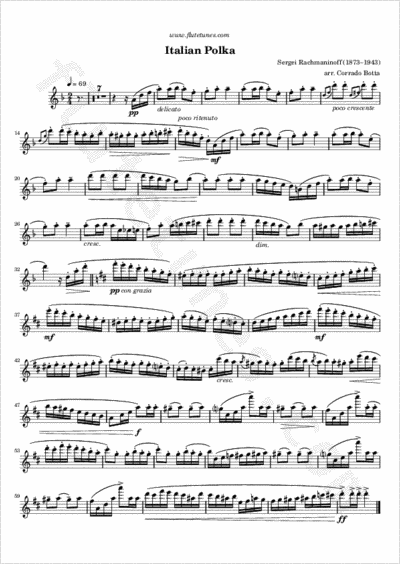 This arrangement for flute and piano of Sergei Rachmaninoff's “Italian Polka” was kindly contributed by Corrado Botta. This energetic polka was originally composed for two pianos around 1906. The original key was E-flat minor, but the present arrangement is in the much easier key of D minor. A version for solo flute in the original key is also available in our collection.